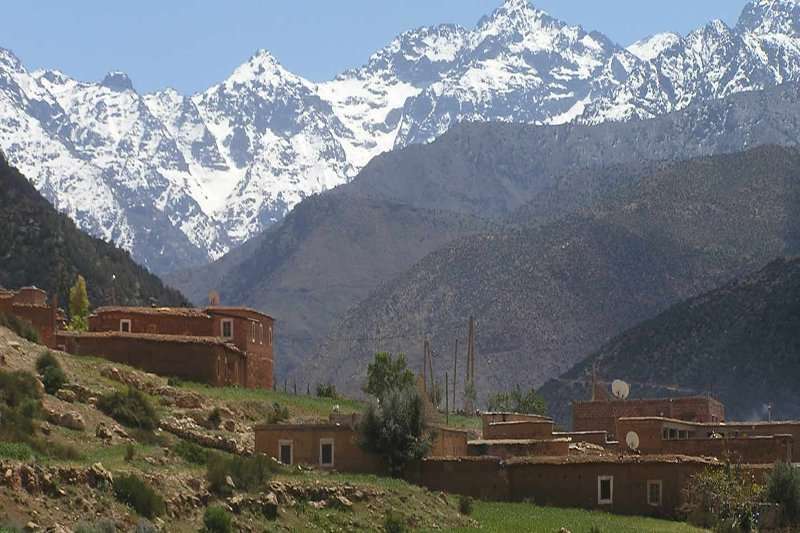 Marrakech offers everything any golfer could possibly want for a golf holiday in Morocco; authentic culture, a rich history, luxury hotels, and most importantly, a range of excellent golf courses. 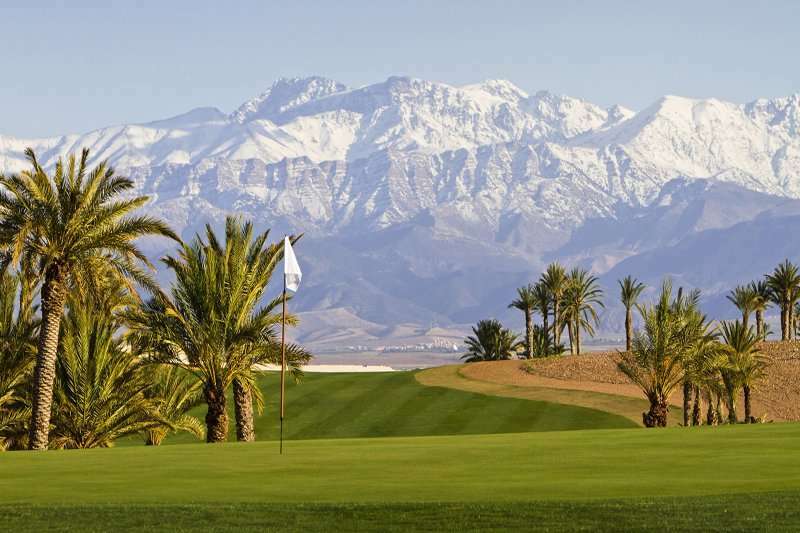 Marrakech is an up and coming golf destination, and with an array of deals offering excellent value for your money, it is not difficult to see why. 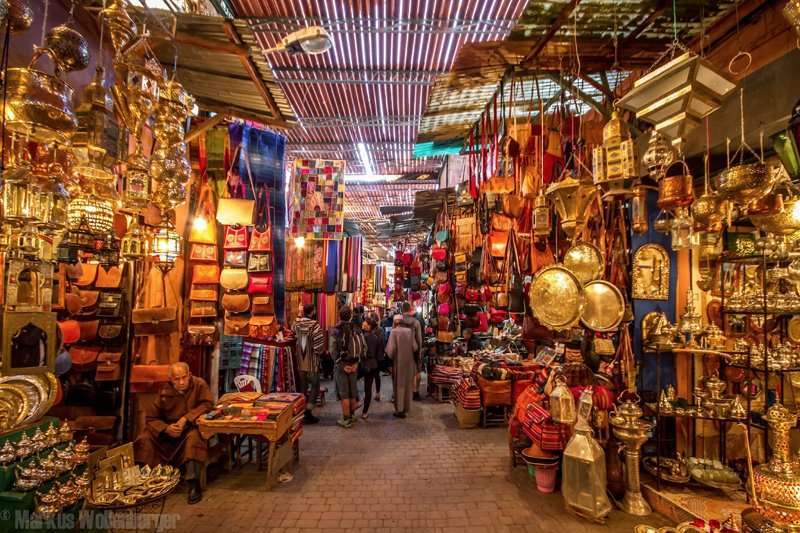 The famous Jemaa El Fna Square offers its visitors medieval world where, day and night, storytellers, shopkeepers and snake charmers vie for your attention. 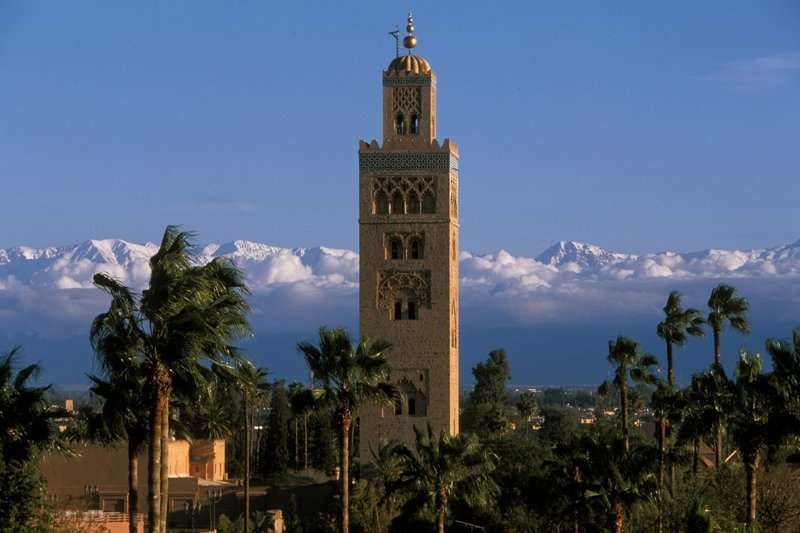 All set against a breath-taking backdrop provided by the minaret of the Koutoubia Mosque, it is a unique experience for all those looking to truly indulge in Marrakech’s authentic culture and history. 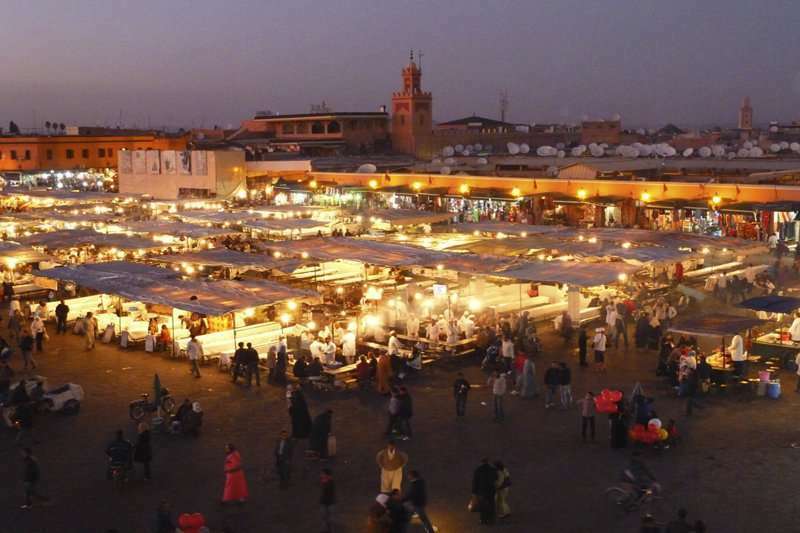 Another key site in Marrakech includes the Djemaa El Fna Square, a key tourist spot, rife with entertainers and local merchants. To fully immerse yourself in rich Moroccan history, visit the ancient Saadian Tombs for an unforgettable day out. Home to fabulous hotels, luxury riads and great golf courses; you have everything you need for an unforgettable golf escape in Morocco. 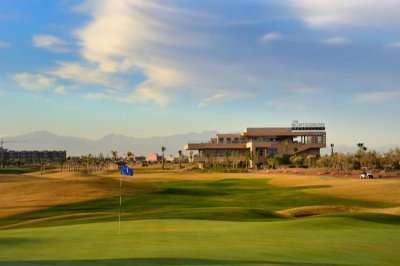 With fantastic new golf courses such as the Samanah Golf & Country Club and the Al Maaden Golf Course opening rapidly, golf in Marrakech has already earnt itself an impeccable reputation; this really is a golf destination to rival all others! 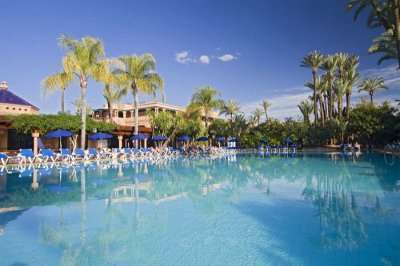 There are a wide range of fantastic golf hotels in Marrakech. Pick your favourite accommodation from the options below, or click on View More to see our full range of golf resorts in Marrakech. 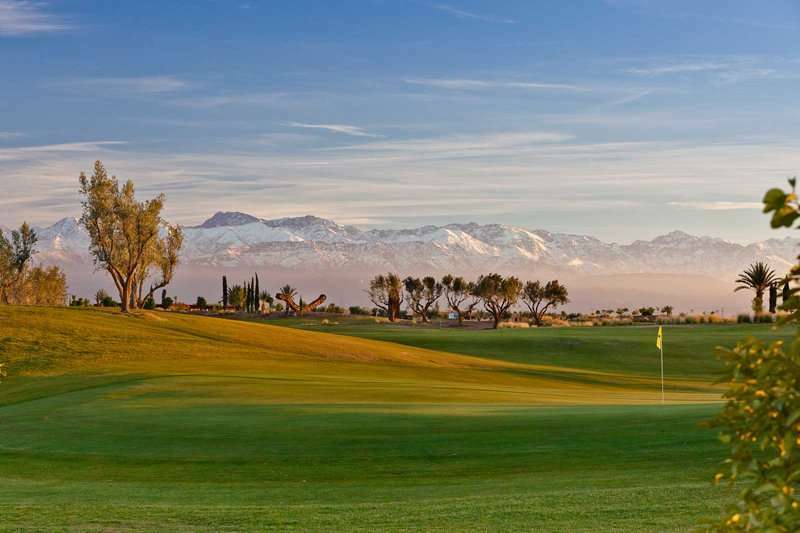 Look through our range of the best golf courses in Marrakech below that will be sure to satisfy even the most demanding of golfers. If you have any specific questions about the golf courses you can visit please do get in touch. 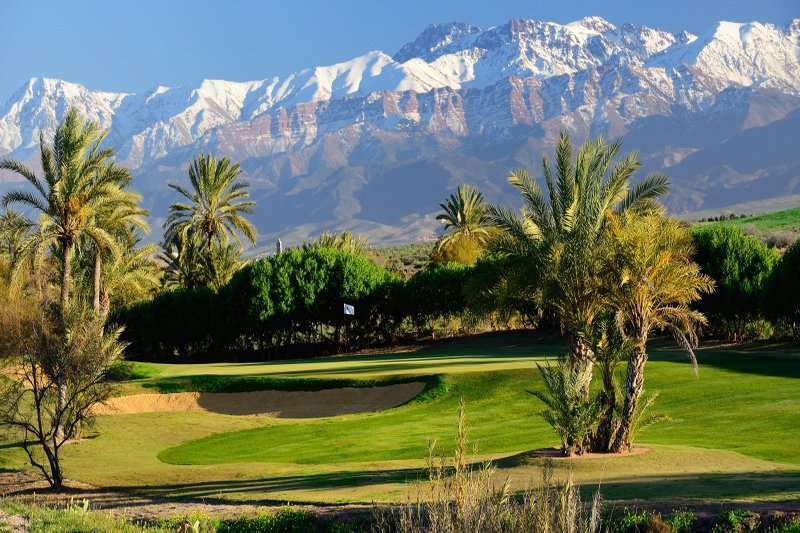 For golfers in Marrakech looking to explore the depths of this captivating region, the Palmeraie Palace is an excellent choice, just a 10-minute walk into the centre of Marrakech. With three other fantastic golf courses under a 25-minute drive away, the Palmeraie Golf Palace is an ideal base for a golf break in Marrakech. The Riad hotels in Marrakech; the Riad Cinnamon, the Riad Papillon and the Riad Star, offer travellers in Morocco an unbeatably intimate stay in elegant boutique hotels. 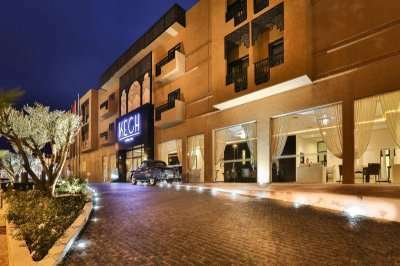 These hotels are all situated in a prime location in the heart of the city, ensuring guests can experience the best sites in Marrakech with ease. The Hotel du Golf is a new hotel situated in the heart of the scenic Palmeraie of Marrakech and offers spectacular views over the 27 holes of the Palmeraie Golf Course. Not only is the fantastic Palmeraie Golf Course next door to this property, the centre of Marrakech is just a short taxi journey away from the hotel. The Palm Golf Palmeraie is a popular golf course in Marrakech and is renowned for its distinctive landscape set 1,500 feet above sea level. Designed by leading golf architect Robert Trent Jones Snr, this fantastic golf course is a must-play on your next golf holiday to Marrakech.